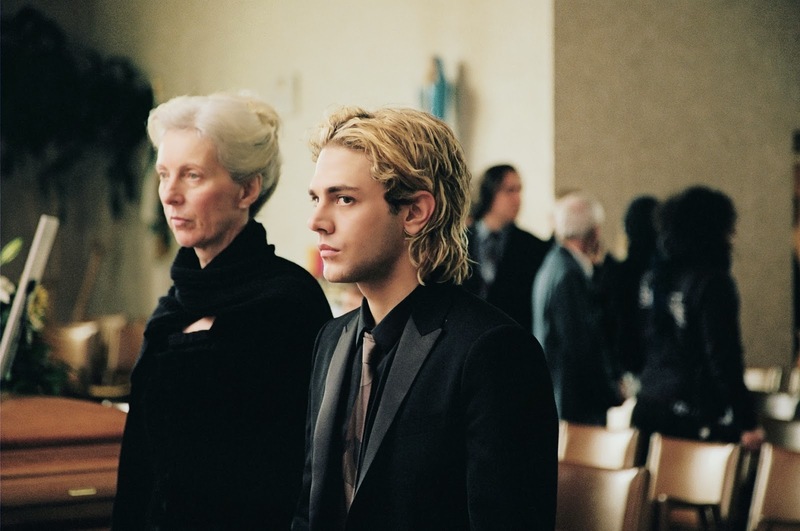 A young man arrives to meet the mother of his recently deceased boyfriend. Amidst cultural differences (both big and small), we quickly understand that this woman, crippled by her grief, is unaware of her son’s relationship with this polite, if foreign looking young man in front of her; she feels an unwitting affinity towards him yet she cannot quite communicate openly with him. 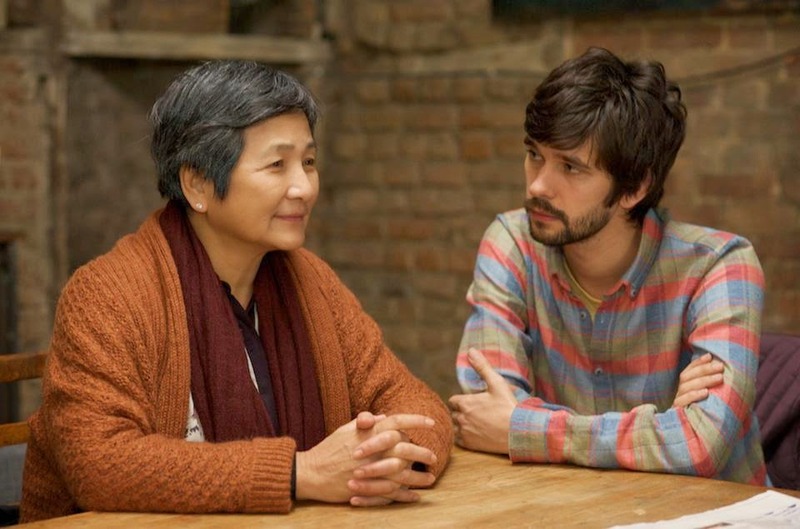 I’m speaking (if simplistically, of course) about Hong Khaou’s Lilting (2014) as well as of Xavier Dolan’s Tom à la Ferme (2013). One is a precious character study set in England that focuses on grief across national and cultural divides, using translation as both a plot mechanism and overall conceit (the film is half in Chinese and half in English); the other is a Hitchcokian thriller intent on unearthing the increasingly dangerous cost of secrets set in the French-Canadian countryside. Sentiment and violence; both films could easily work as a double feature on ways of dealing with the guilt and grief that reverberates after the passing of closeted gay men. There are large issues at play in both of these films. Richard (Whishaw, Lilting) and Tom (Dolan, Tom à la Ferme) — and their connection to the urbane world of London and Montreal — are pit against the parochial world of the countryside. The open sexuality that is so available to them in a cosmopolitan center is juxtaposed with the seemingly narrow world views that these mothers come to represent. Yet, much of the impact of both films is derived from the crippling sadness that the expressive eyes of Whishaw and Dolan convey even as they work hard to steel themselves so as to uphold the lie that sickens them and makes their grieving all the more painful. Rather than make bold statements about the political and cultural issues at work, both films burrow themselves instead into films squarely concerned with their protagonists’ inability to move on: while Dolan’s film slowly turns its bitter tears and tender caresses into a choking hold, having us hold our breath as aggressive violence and sexual magnetism pervade the creeping darkness at the heart of the farm of the title, Khaou uses recursive scenes and disorienting cuts to mimic the way loss plays tricks on our minds, constantly replaying that last conversation and hoping it will all turn out differently this time around. In Dolan’s film, the countryside becomes both escape and prison; an inviting abyss whose gold-tinted sunlights give way to an encroaching darkness and Tom finds himself at the mercy of an all-encompassing sense of denial, having left himself at the doorstep of this earthy farm. The film, in slowly quickening pace, follows his attempts to disentangle himself from the cruel violence that both lures and repels him. In Khaou’s film, the beautifully retro decor of the old home where Richard visits Kai’s mother, adds to the sense of dislocation that Kai’s death has created for boyfriend and mother alike. Thus, while Dolan’s film takes you to the brink of a boiling revelation that never materializes, Khaou’s film works patiently towards a teary-eyed denouement that is as melancholy as the film itself, not quite resolving or tidying up the issues the film raises, but attaining a type of necessary detente. Harrowing and haunting, sentimental and seductive; both films ultimately work as a fascinating double feature on gay grief. They may locate themselves far removed from courthouses and political rallies, but the message of the insidious effects of leading closeted lives (and after-lives!) are much too costly to bequeath to those we leave behind.